Sour cream has become a staple in most kitchens. It is kept on hand to make quick dips, thicken sauces and, of course, to top baked potatoes. Much like yogurt, sour cream also tenderizes and softens baked goods. But do you know what sour cream actually is? Despite its popularity, many fans of the food have no idea how it's made or what it's made of. With this overview of sour cream, find out everything you've wanted to know about this dairy product. When lactic acid-producing bacteria is added to cream, it produces the slightly tart, thick substance known as sour cream. Food and Drug Administration standards dictate the butterfat content may not be less than 18 percent for products labeled as sour cream. Commercial sour cream may also include rennet, gelatin, flavoring agents, vegetable enzymes, sodium citrate, and salt. Check the label if you suffer from food allergies, or make your own homemade sour cream to avoid coming into contact with an allergen. Lighter varieties of sour cream made with half-and-half (10.5 percent butterfat) and non-fat milk are readily available in most supermarkets. So, if you're watching your waistline but still want to enjoy this product, opt for a lower fat version or eat a smaller amount of the high fat version. Soy sour cream is not a milk product but is interchangeable in most recipes with the real thing, so it's the perfect alternative for vegans! 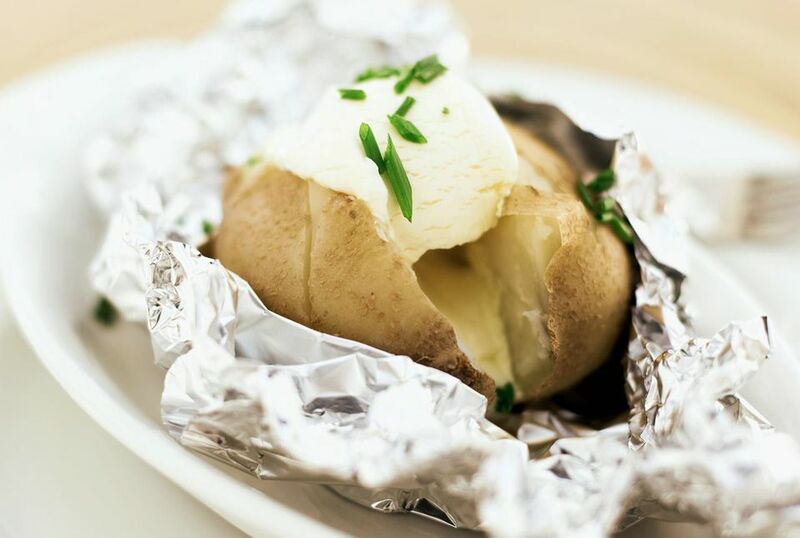 You're selling sour cream short if you solely associate it with the baked potato. That's because sour cream is also used as a garnish for chili, potato chips, and platters of fruits and vegetables. It's also a common ingredient in baked goods, including a number of sweet dishes such as cookies, scones, and cakes. The cream can also be found in savory baked dishes like tuna casserole, salad dressing, beef Stroganoff, and porridge. Sour cream is commonly used in Mexican cuisine, especially for nachos, burritos, and guacamole. In El Salvador, platanos fritos (fried plaintains) are often served with sour cream. While sour cream is a popular condiment, it doesn't have a wide variety of health benefits. It contains 1 percent vitamin A and calcium but only trace amounts of other vitamins and minerals. Some kinds of sour cream contain the bacteria and yeasts known as probiotics, which can help the digestion process. What are Bird's Eye Chilies?